If there is a party next door and you want to look all glamorous and trendy, here is what can help you. With this red Read More..rectangular clutch bag, any style can become doubly effective. This clutch has a detailed stone work in the most simplistic and elegant manner. 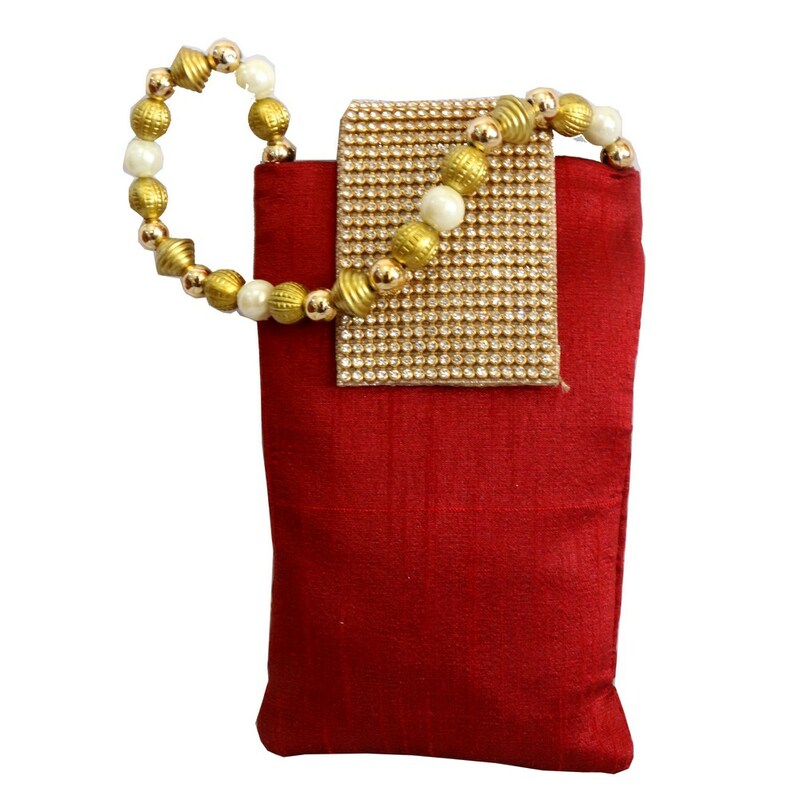 The stylish handle of this clutch is composed of white and golden pearls. Show Less..